A man from Florida got very sick and went to a doctor for treatment. He went through laboratory tests and interviews from his doctor. They learned that he started to get sick after drinking nearly 4 to 5 cans of energy drinks every day for 3 weeks to get more energy he needed for his work. He suffered from “severe pain and yellow skin,” as well as liver failure. BNC-2 reported that according to the doctors the cause of his ailment was because of “excessive niacin or Vitamin B3 contained in the energy beverages. Earlier, it was learned that he has no medical history of liver problems and was not on any medication. Final diagnosis was Hepatitis C.
Hepatitis is a serious and acute liver inflammation that can result to cirrhosis, liver ailment, and even cancer. Generally, this disease is transmitted via sharing of needles or contaminated foods. Hepatitis is not, as often thought, an infectious disease and caused by toxins. In 2011, a woman experienced similar illness and symptoms after she consumed 10 cans of energy beverages every day for two consecutive weeks. She suffered from nausea, jaundice, and vomiting. Energy beverages are usually loaded with supplements and vitamins in huge doses which can be harmful to health. The unfortunate Florida man consumed more than the required dose everyday in 3 weeks. In large doses, Niacin is linked to hepatotoxicity which is a type of liver problem that is caused by large doses of the supplement. For every can of energy that he consumed, he took 40 mg of Niacin and he was consuming 200 mg of Niacin every day for straight three weeks. Energy beverages are just one type found in the market that can make you very sick when you take them in large doses. Take note that cola-based sodas contain huge doses of phosphoric acid that can cause kidney problems and therefore can increase risks for kidney stones diseases. Phosphoric acid found in soda can cause heart disease, diabetes, osteoporosis, and high blood pressure. 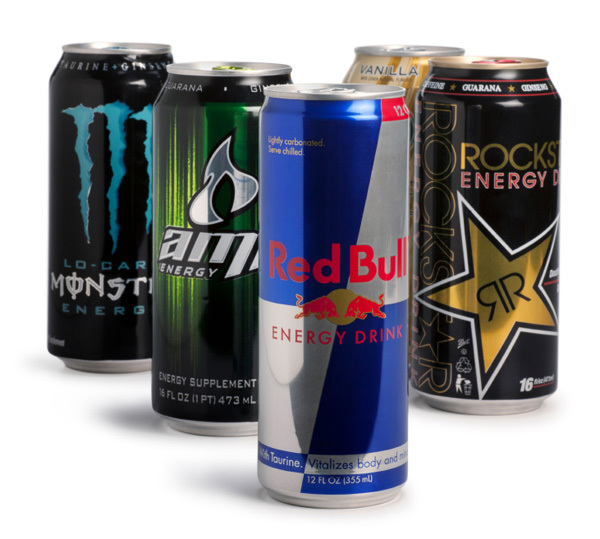 Energy drinks are made for a specific purpose and to be consumed in specific dose. Taken more than what is required is harmful. That goes with any foods, particularly those processed. Let us abide with the reminder to take everything in moderation to prevent serious harm to us and to our health. Go, drink your favorite energy drink – in moderation! Don’t forget to read labels and follow instructions. Well, why don’t you eat more of foods, fruits, and vegetables that can provide you with needed energy that you need or want?